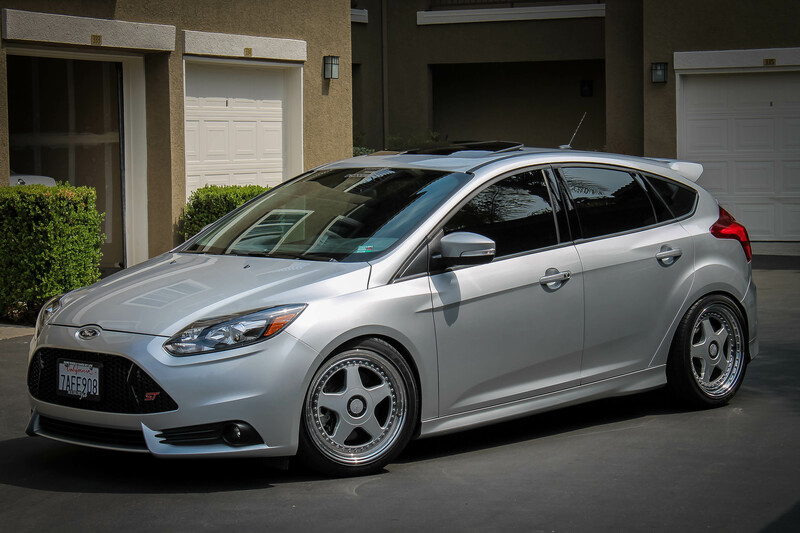 Thought I'd make this thread for people like myself that like seeing these cars lowered with nice a nice wheel setup. 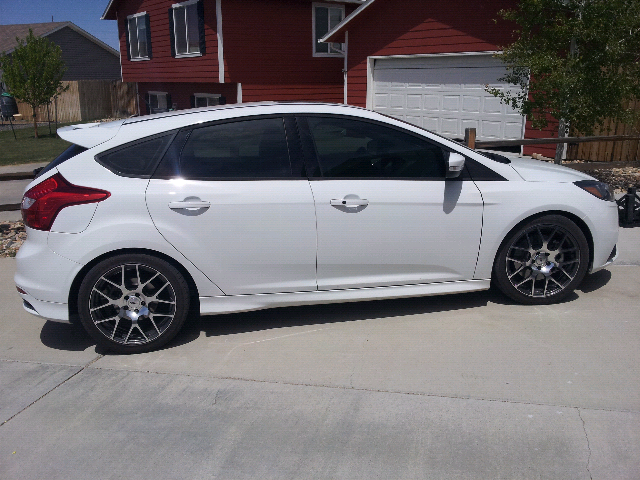 I'll start with my car. 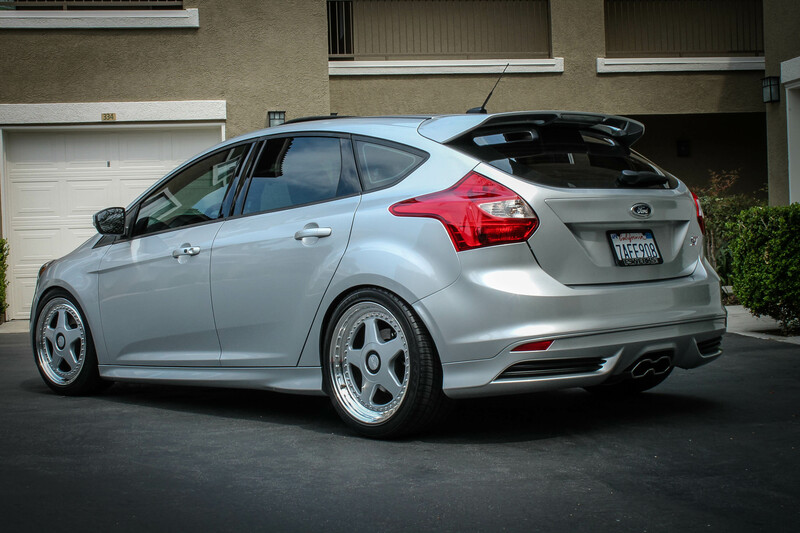 Post up of you have a slammed/lowered Focus ST.
Last edited by Drama; 07-02-2013 at 12:20 PM. xxxPEGAxxx, KingZee, jinstall and 7 others like this. 3-pc fifteen52 Tarmac TR wheels unknown offset and tire combo. Last edited by Drama; 07-02-2013 at 12:27 PM. islandsjake, DB88 and [email protected] like this. is Conductor of the Poop Train! I will say I'm no where near a fan of any ting stanced but can and will say you're ST is one of the best by far I have seen. Every thing works for it. 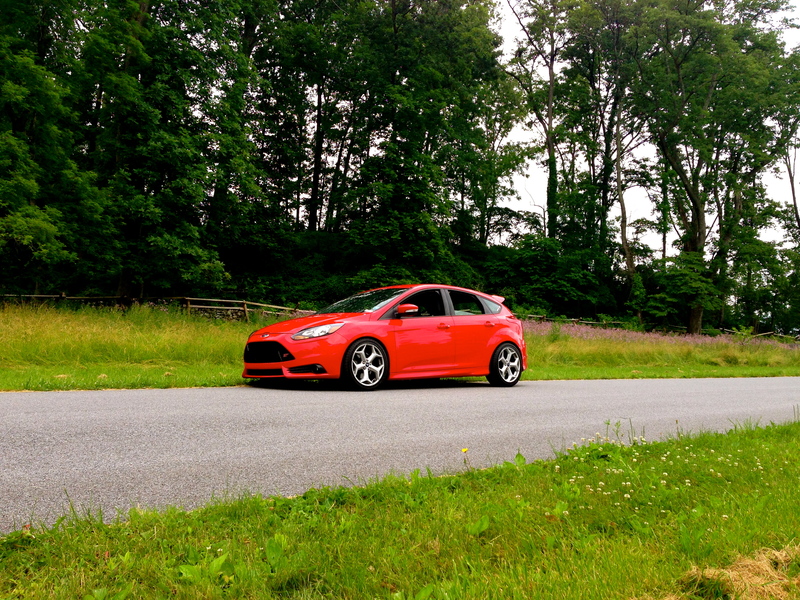 The wheels fit real nice with the ST and the way you have you're ST sitting with the offsets. Color choice is very good very subtle very clean, but still makes it look wild and flashy. Now the fithten 52, NAH NO HELL NO. Can't stand over Camber wheels. Makes it look like a Bow legged dog trying to f**k a foot ball. though ,My opinion does not matter on the subject though lol. 14pbffst and BlackST2015 like this. I agree on the overdone camber. I can't stand it. The fifteen52 ST looks that way because its aired-out. If you inflate the bags it shouldn't look as bad. Last edited by Drama; 07-02-2013 at 04:36 PM. The fifteen52 ST looks that way because its air-out. If you inflate the bags it should look as bad. Yea think me an someone else got into a debate about it, cause I think people who drove around on over cambered and super stretched tires is dangerous and should be shoot in the right foot. Literally what I think I said lol. I know t involved someone getting shot in the right foot. I'm kinda of a Road Safty nut. It might seem like it way I talk but I take driving and road safety real serious. Out of all my friends I drive the fastest car by the long shot and I'm the only one who has not gotten a ticket or even pulled over... Well there was a parking ticket cause I parked in my drive ways sideways when I had the mirage lol... Cop didn't find it funny fitting 3 cars in a two car drive way, said I was blocking the sidewalk on the ticket lol. Nagua and Ahh Oui, ST like this. Ughhhhhhhhh I was hoping someone would do futuras but at the same time I wasn't cause I wanted to be the first haha. Looks awesome man.